Easter is around the corner, so it’s time to dive into the veganising of all things brunchy, eggy and bready. 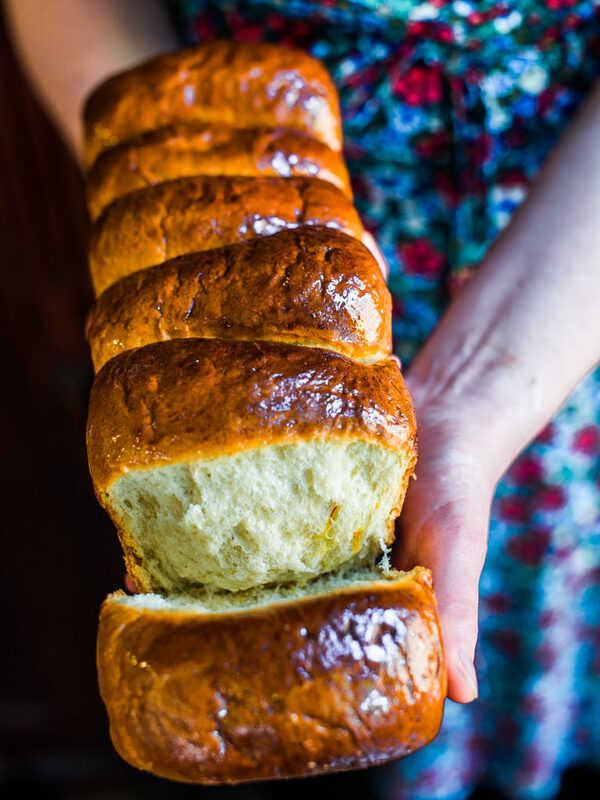 So this time we veganised the popular Japanese Hokkaido Milk Bread for you, which is quite similar to the French Brioche or Dutch Duivekater. Delicious with just a lick of vegan butter, a dollop of marmalade, or let’s go crazy, chocolate sprinkles. Whatever floats your boat. The secret to the fluffy texture is making a tangzhong first, which is a water and flour based cooked paste. This is your egg-replacer, ‘cause let’s face it, eggs are just so out of season. With this paste you will create a pillowy, yeasty goodness. Perfect to stuff your face with. By the way, if you’re looking for vegan ‘eggy’ dishes to brighten up your Easter brunch, look at this gorgeous omelette or delicious eggless scramble. Oliebollen are sort of a Dutch version of the American donut holes. 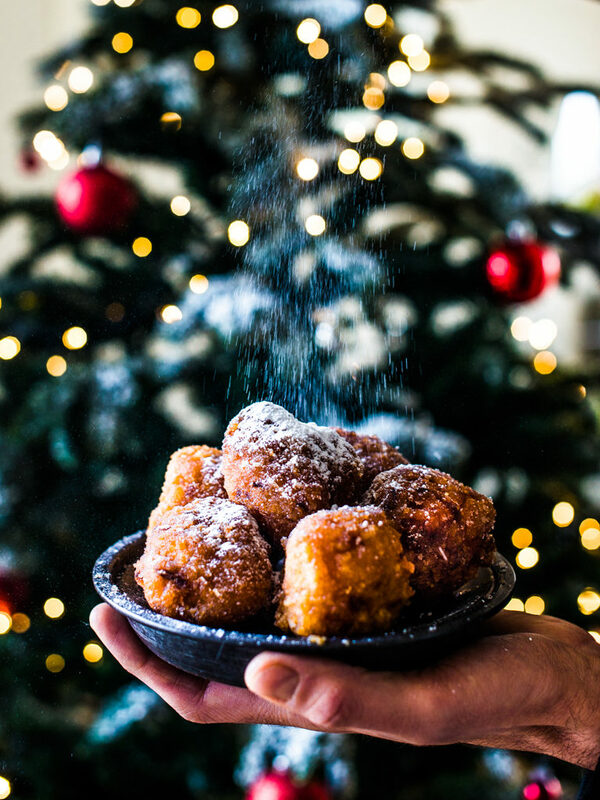 The Dutch traditionally eat oliebollen at New Year’s Eve. This special and epic version is made with sparkly apple cider. You may find yourself eating them by the dozen, so beware. Use a nice artisan yeasty cider for extra flavour. 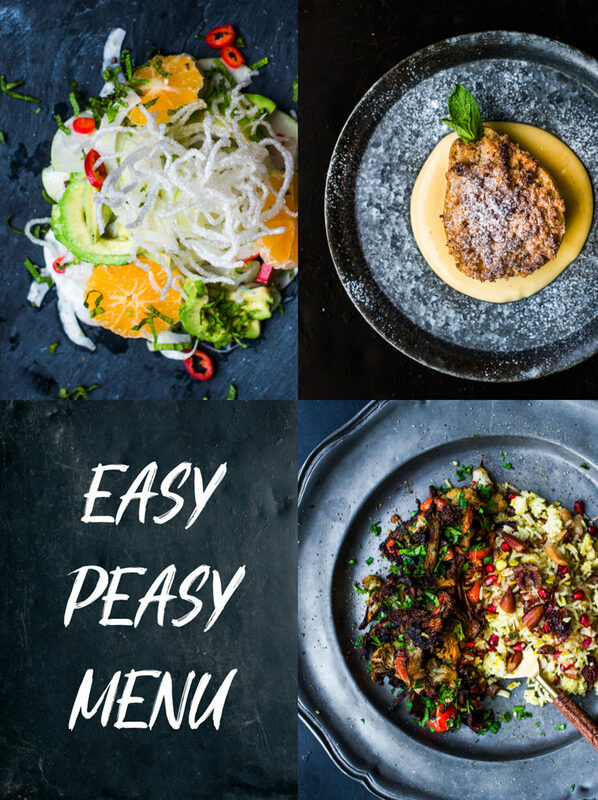 Fancy good food, but not all that hassle in the kitch? 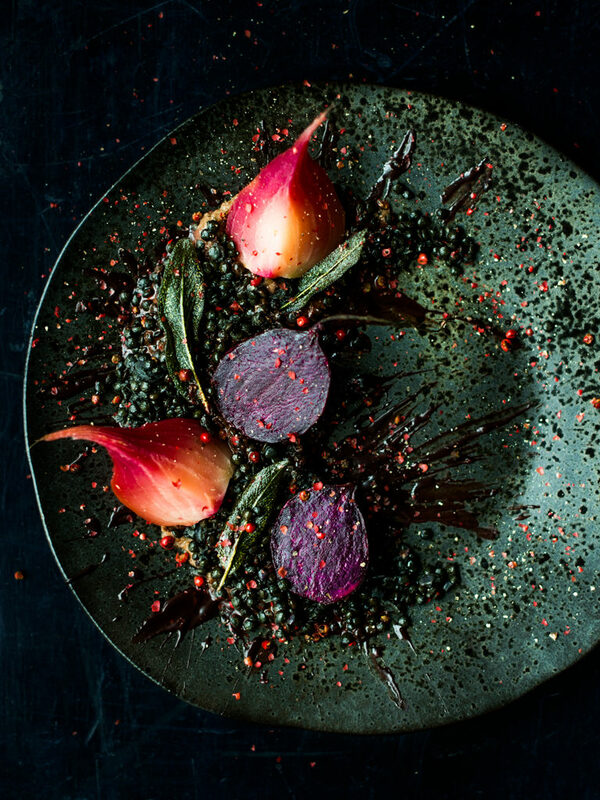 Well, you hit the jackpot with this simple, yet chic vegan Christmas menu. Take it slow this year, go for the chill mode, divide all the tasks and relax while enjoying this peaceful dinner party enriched with plant based delicacies. This appetizer will surprise you with sparkling flavours, for sure! 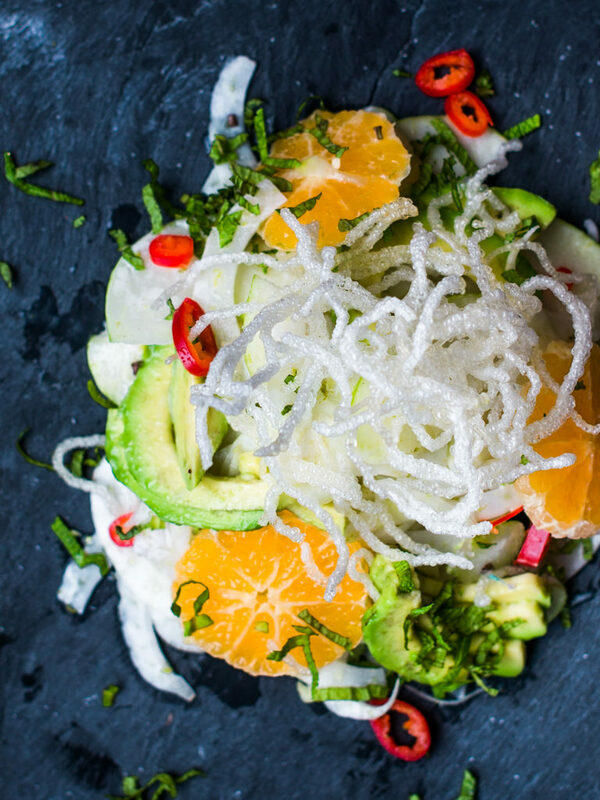 Fresh lime and tangerine combined with creamy coconut and avocado, crispy fennel and apple and a little red pepper. A combination that will surprise your taste buds just before the big Christmas meal. The real festivity is due to the angel hair, a nice trick with rice noodles! 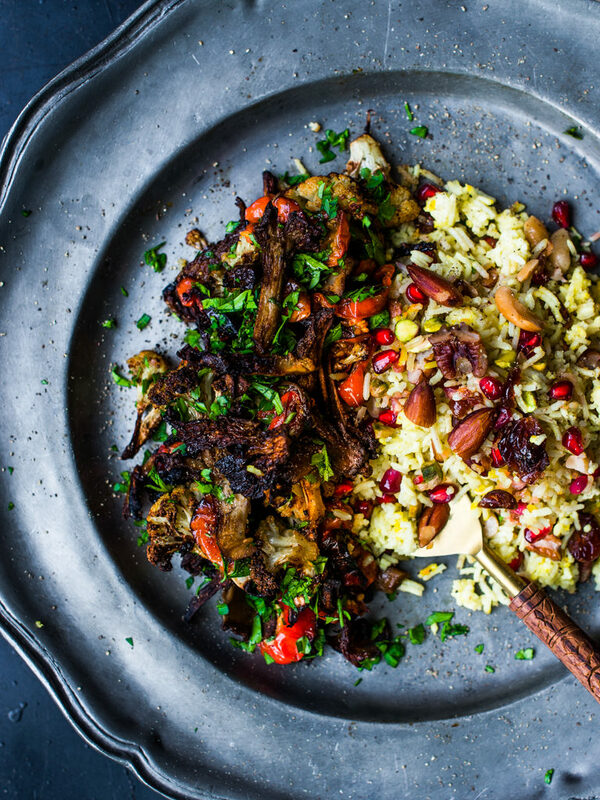 This decadent Middle Eastern jeweled rice with roasted vegetables will fill your kitchen with the wonderful and deep aroma’s of Christmas. By using freshly roasted nuts from the nut shop and high quality spices and fruits, this dish will offer an equally delicious texture as well as taste. Half the work has already been done by the use of these ingredients and you can take it easy. 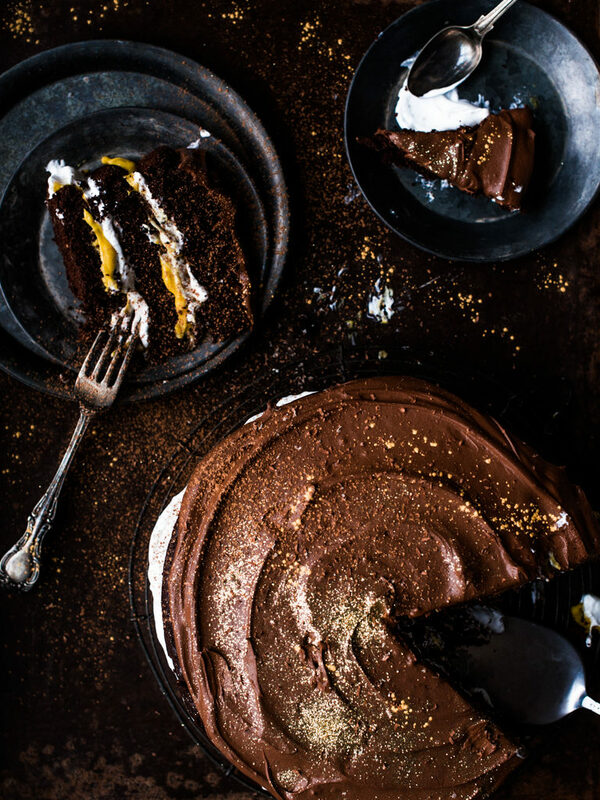 Get starstrucked and flavonoid high with these shining chocolate recipes. Expect intense, sophisticated, cosmic flavours. 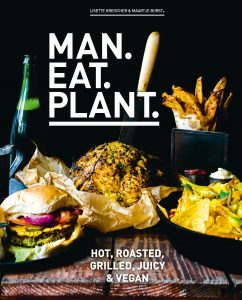 Wonderful for all you cheffy and foodie people out there! Did you know chocolate goes well with savoury flavours too? Just give it a shot and be amazed by the magical and golden combinations! Pine, the symbol of light. 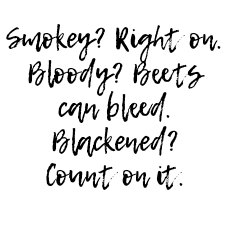 Rosemary, a fire starter for the body. Both can dance a tango with chocolate. 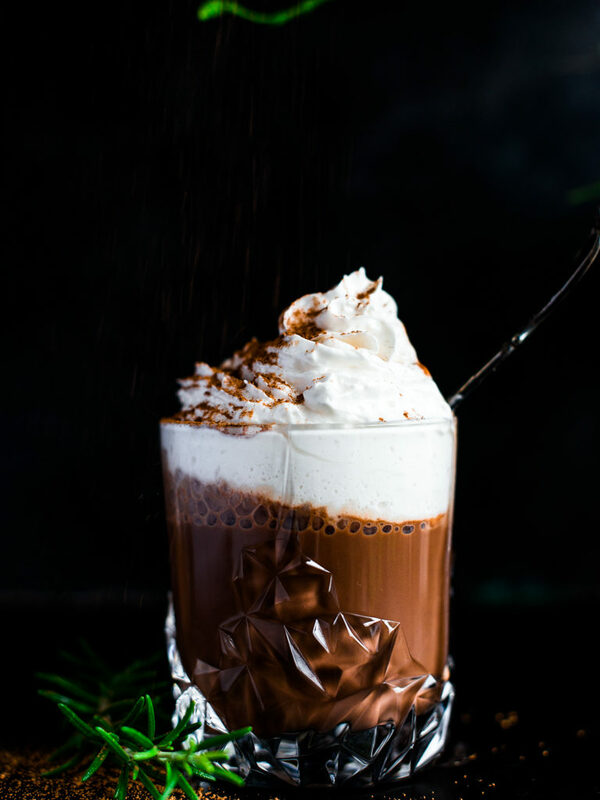 Make this recipe with one of these two spicy evergreens, spike it with some rum and feel the magical and tingling effect of this special Fairtrade chocolate milk. 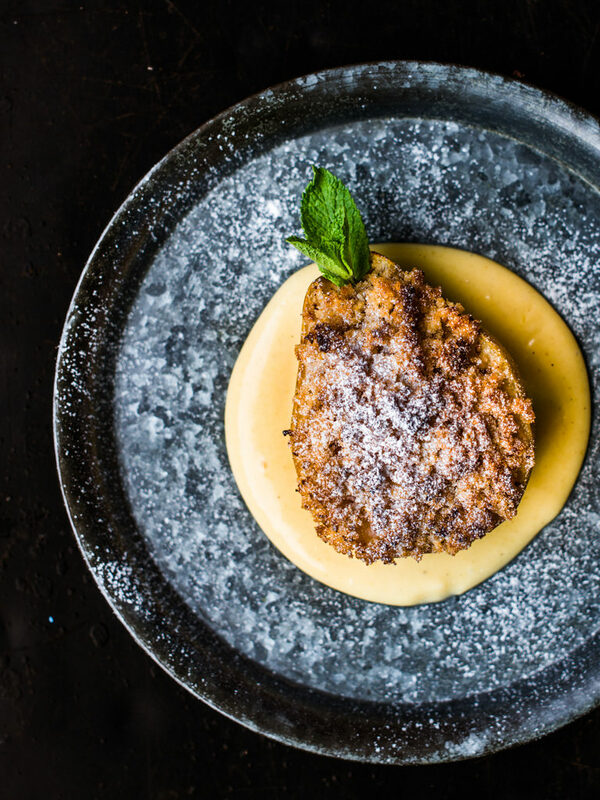 This is just a heavenly dish to celebrate the holidays. The ingredients may seem a little odd, but once you’ve made it and start to eat, everything will fall into a cosmic place. 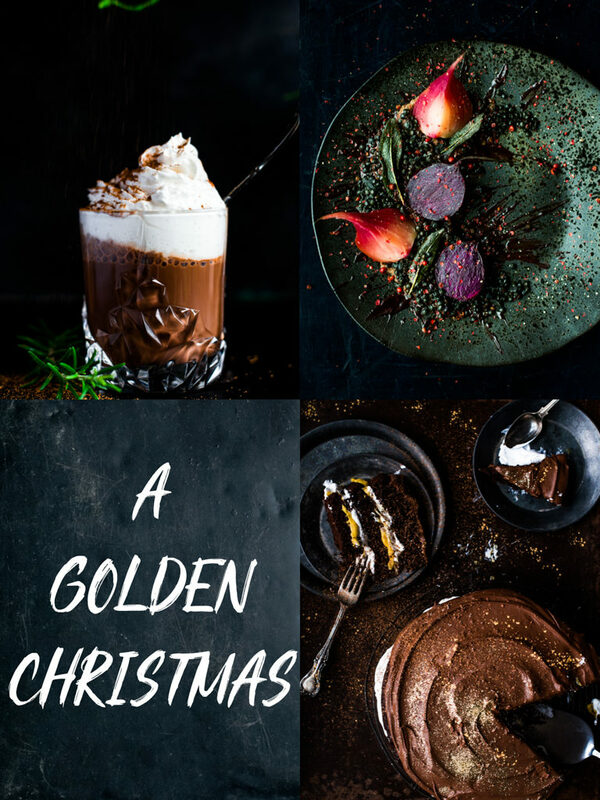 Let’s get a little bit tipsy by making this festive chocolate cake with home made heart warming golden advocaat (sort of a Dutch egg nog)!